The demand within the global rig and oilfield mats market has been escalating on account of advancements in the oil and gas industry. The workers near oilfields are subjected to several risks, and hence, there is a need to ensure optimal security for these workers. Rig and oilfield mats provide a reliable platform to the workers to carry out rigorous operations. The passage of machinery through an area becomes easier when oilfield mats are laid across the operational area. For this reason, the demand within the global market for rig and oilfield market has been escalating at a robust rate in recent times. The oil and gas industry has attracted several monetary investments over the past decade which has given an impetus to the growth of the global market for rig and oilfield market. Moreover, the presence of well-established vendors who are familiar with the business dynamics of the market has also propelled market demand. It is expected that the next few years would witness the emergence of a lucrative oil and gas industry which could in turn enhance the prospects of rig and oilfield mats market growth. The global rig and oilfield mats market is segmented on the basis of the following parameters: product type, application, and region. In order to get a thorough understanding of the forced operating in the global rig and oilfield market, it is essential to delve into the segments mentioned above. A report added on the global rig and oilfield mats market is a reminder of the various historic forces that have aided market growth. 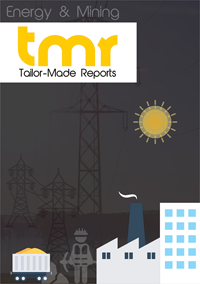 The report is divided into multiple segments, each addressing a key standpoint of the global rig and oilfield mats market. The regional arrangement of the global rig and oilfield mats market has also been enunciated in the report. The demand within the global rig and oilfield mats market is expected to rise on account of the commendable growth of the oil and gas industry. The stakeholders operating in the oil and gas industry have taken several investment decisions in the past decade. It is expected that the global market for rig and oilfield mats would expand alongside advancements in the operational domain of the oil industry. Furthermore, the market for rig and oilfield mats can also earn voluminous revenues as oil-exporting entities show a sense of pragmatism in handling their operations. The global rig and oilfield mats market is expected to witness key advancements in the forthcoming years. This projection is based on the ardent effort of oil-exporting countries to enhance the production standards across their oil industry. Furthermore, the focus given to safety and security of employees working in oilfields has also necessitated the need for rig and oilfield mats in the industry. The global rig and oilfield mats market is segmented into the following key regional pockets: North America, the Middle East and Africa (MEA), Asia Pacific, Latin America, and Europe. Amongst these segments, the demand for rig and oilfield mats has been the highest in the Middle East and Africa. This is due to the presence of a large number of oil and gas reserves in the Middle Eastern Regions. Some of the key players in the global rig and oilfield mats market are Megadeck HD, STRAD Energy Services, Portafloor, and Acre Rig Mats & Oilfield Products Inc.